Paper Crafter Anonymous: Amazing Deal! Who wants to join the fun? This is an amazing deal with an amazing set of products and the new Amaze machine! #richardgaray just revealed a special offer to become a Journey Coach for only $99.99 (a $300 value) with the new Amaze Starter Kit! 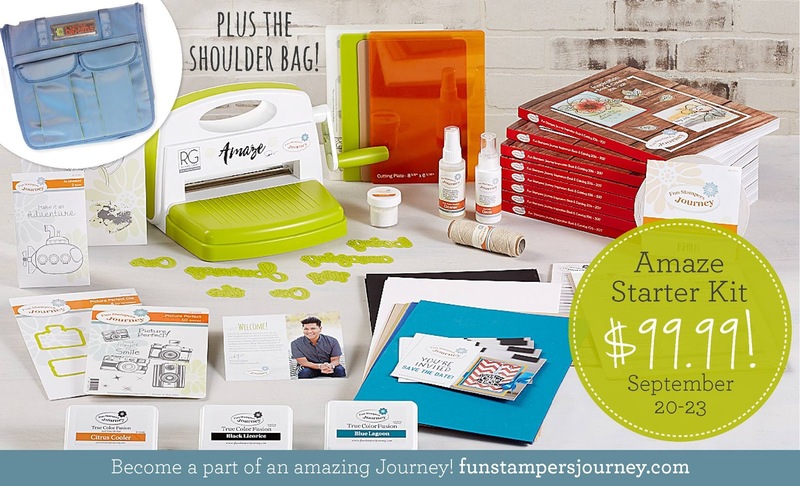 Sign up now thru Sept 23rd and receive the super cute Journey shoulder bag too! Become a Coach HERE or contact me and I would be more than happy to help you! PLUS, if we get 100 new coaches by Wed Sept 21 at 10am (AZ time) all Journey Coaches will receive a discount on a special Makery Kit Bundle!